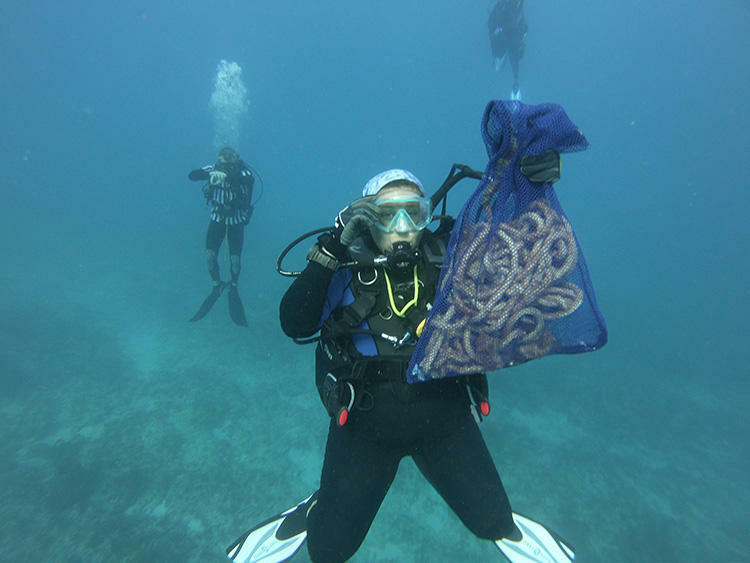 A diver brings up a trapline collected during a marine debris cleanup in the Keys. 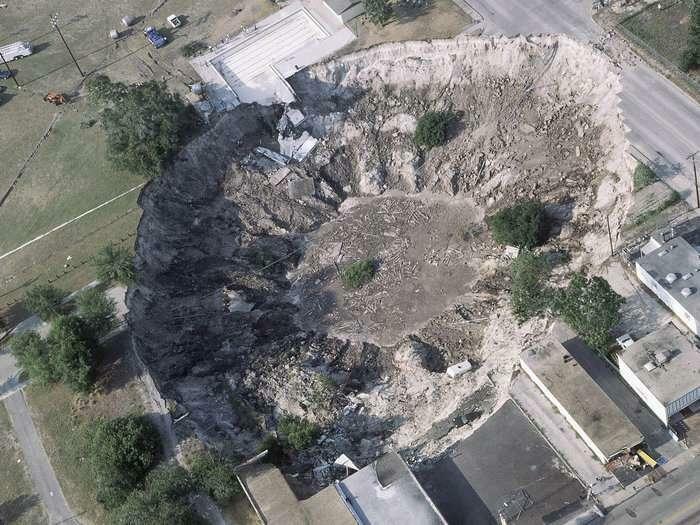 Dive operators need to get training from the sanctuary and, in some cases, permits from the state before they can remove debris from environmentally sensitive areas. “Even just a trapline wrapped around a delicate coral, you’ve got to know how to take it off and even if it should be taken off,” said Gena Parsons, spokeswoman for the Florida Keys National Marine Sanctuary Foundation in the Keys. Training sessions for dive operators are planned for 6:30 p.m. Thursday, April 19, at the sanctuary offices in Key West and Key Largo. “Teaching people to recognize what is more harmful is really the key and what we’re looking for, particularly out on the reef,” Parsons said. Removing lobster traps, for example, requires a special permit from the state. The sanctuary is hoping to get divers trained and underwater removing those traps before the next lobster season begins in August. “It’s a narrow window,” she said. Blue Star dive operators, who have gone through sanctuary training, are also eligible for reimbursement of costs for removing debris. 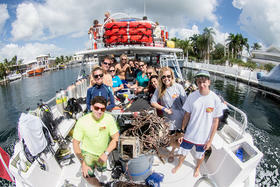 People who see underwater debris can report it to Mote Marine’s coral reef monitoring program. 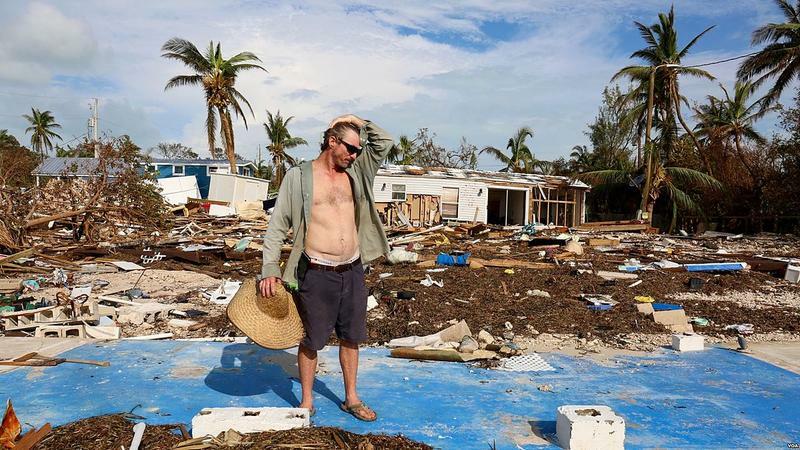 More than 2.5 million cubic yards of debris was removed from land in the Keys after the storm. The county has now turned its attention to cleaning up canals throughout the island chain. The Coast Guard removed more than 1,600 vessels from the Keys after the storm. The bills (HB 7099 and SB 7028), passed this month by the Legislature, ratified rules issued by the Scott administration. 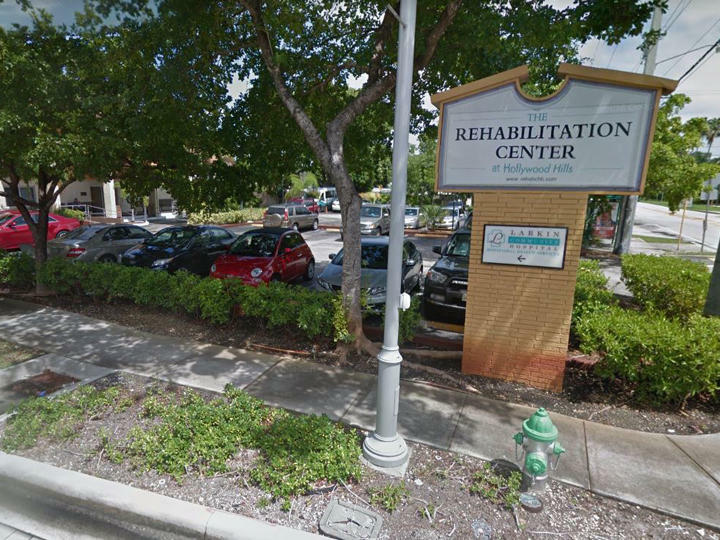 The ratified rules replaced emergency rules issued in September following the deaths of residents of The Rehabilitation Center at Hollywood Hills. County officials in the Florida Keys are looking to get federal money to reimburse them for expenses related to Hurricane Irma. Monroe County officials traveled to Washington DC last week to meet with FEMA officials. The county has submitted about $16 million in expenses for reimbursement. So far, FEMA has approved about $3.9 million. Now the county is waiting for the state's Department of Emergency Management to sign off.